Tilted Horizons: Dam good ride! During last Sunday morning's motorcycle ride I visited Holtwood Dam on the Susquehanna River in Pennsylvania. Even though I've ridden past the turn-off for the dam hundreds of times, I'd never stopped in. 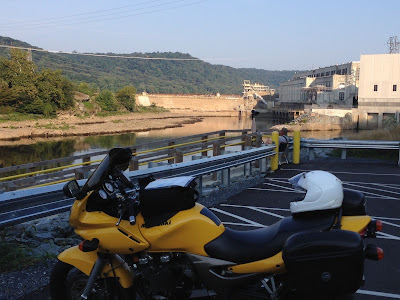 Later, I stopped at another dam on the Susquehanna, Conowingo Dam, which is in Maryland, and a dam I've visited many times. For instance, clicky here.